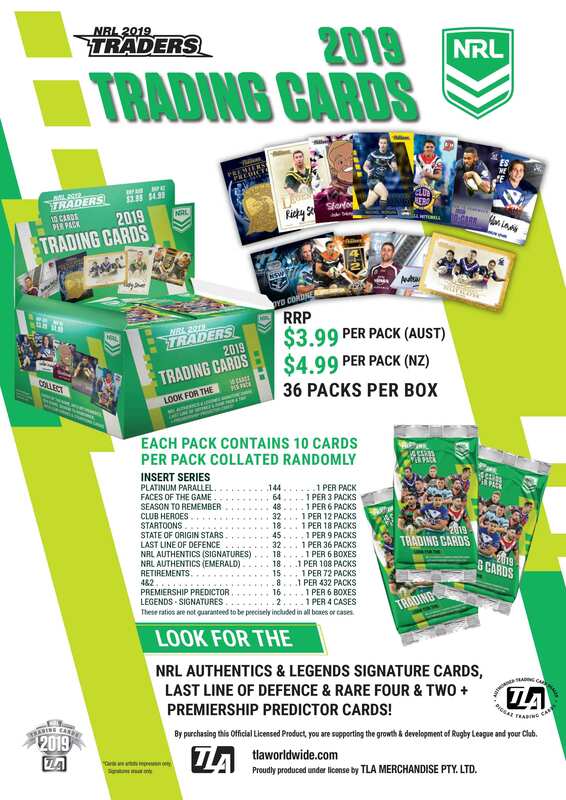 NRL Traders is the largest Card release of the year and a product that has progressively improved over the previous 7 years of it’s run. The following is a quick overview of what we can expect in the latest version of this release. Memorable moments from the 2018 NRL season. Three Cards per team which also display a full team photo on the reverse side when put together. A selection of 32 emerging or prominent stars for their club. 2 cards per team. New Caricatures for a familiar concept. Also find an additional 4 variants of the Startoon Cards inserted in Starter Packs Only. Those players you can rely on to put their body on the line to shut down an opposing teams attack. Honouring a list of players that hung up their boots at the end of the 2018 NRL season. Pre-Sale listings, including BONUS Pre-order offers, now available HERE!.